First things first: Back 9's ultrasleek logo is exactly what it purports to be -- the backward numeral sandwiched by a pair of stars. 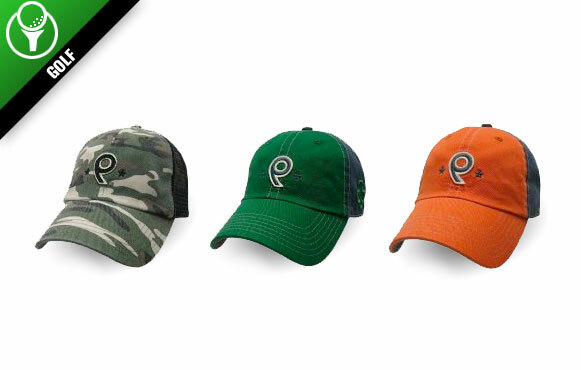 But you don't need to be playing the back nine holes -- or even a full 18 -- to appreciate the fit and look of these lids. Dubbing itself a "golf lifestyle brand" because the company aims to serve golfers and nongolfers alike, Back 9 is launching its Signature Collection of headwear this holiday season. With a more authentic and vintage feel to this latest collection, expect to turn a lot of hatless heads in your direction. And when they ask about the logo? Tell 'em it's just what they think it is.